RCHS publishes books on a wide variety of historical subjects, for all ages. All of the following books and publications are available through RCHS. Please call 651-222-0701 to order, or use the Contact Us form for more information. One hundred fifty years ago, our state offered the first volunteers to defend the Union in the fight against slavery. Every Minnesota soldier passed through historic Fort Snelling to the fighting. 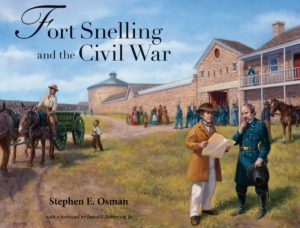 Using detailed research and first-hand accounts, Stephen E. Osman’s new book, Fort Snelling and the Civil War, tells the stories of the men and women who created a community in the old Fort. Fort Snelling and the Civil War is available in trade-size softcover, with 16 chapters, source notes, bibliography, index, more than 100 photos and 7 maps in 336 pages from the Ramsey County Historical Society. 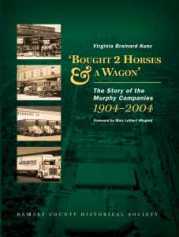 This is the story of how E. L. Murphy Sr. established his business, gradually converted it from horses to trucks, suffered through the takeover of Murphy Transfer and Storage Company and Murphy Motor Freight Lines by a St. Paul bank in the midst of the Great Depression, and how brothers Edward L. Murphy Jr. and Richard T. Murphy Sr. were able to regain control of the family business and rebuild it for future growth. Acclaimed Minnesota historian Virginia Brainard Kunz also tells how the Murphy Companies dealt with all the changes wrought by World War II, federal deregulation of the trucking industry in the 1970s and ‘80s, and today’s growing demand for quality warehousing and rigging services in a highly competitive marketplace. 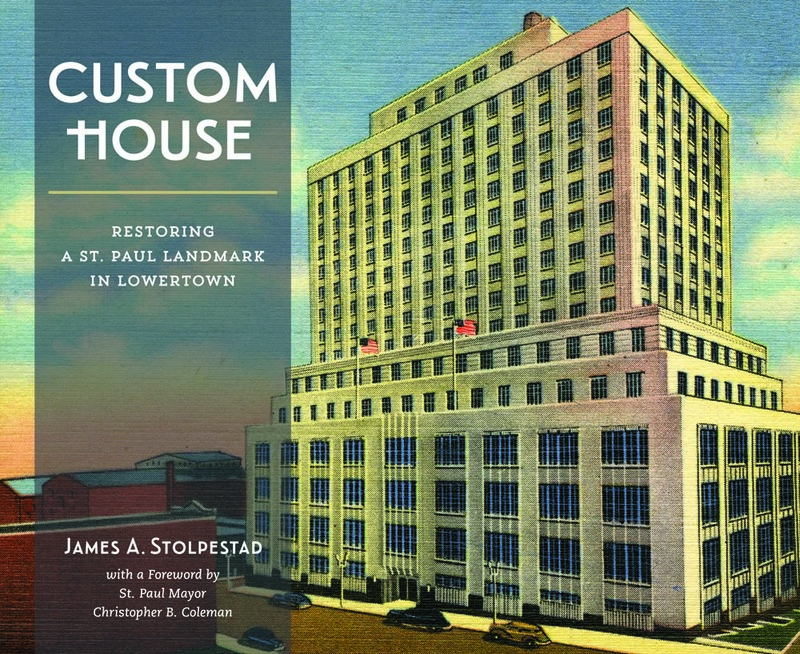 Chronicling the history and revival of the historic Art Deco Post Office building on Kellogg Ave., this full-color book features over 220 maps, historic photos and other images, with engaging writing by author and historian James A. Stolpestad. 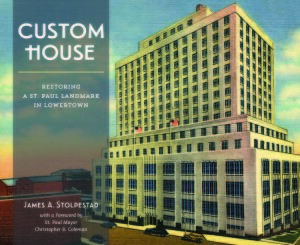 Exhaustively researched, beautifully presented, and full of insights, this book will make the perfect gift for architects, historians, Art Deco enthusiasts, and anyone interested in the history of the Twin Cities. Published by RCHS, produced by White Pine Press. Hardcover. Members Price: $40.00; Non-Members Price $45.00, available through RCHS or online with our order form. First published in 1849, the book presents an unparalleled glimpse into Sioux (Dakota) customs and manners by a writer who had the advantage of long-term residency among the Indians. The wife of army officer and illustrator Seth Eastman, Mary Eastman gathered the material for this book during their seven years at Fort Snelling in what became the Minnesota Territory. Illustrated with watercolor drawings from Seth Eastman’s frontier portfolio, this new edition of a celebrated classic is a feast for the eyes. 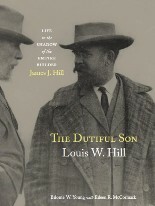 Local author Biloine (Billie) W. Young and researcher Eileen McCormack bring to light the extraordinary life and contributions of Louis W. Hill Sr., the second son of James J. Hill. Following the death of his father, Louis took on the management of the Great Northern Railway and banking empire, became the major force behind the establishment and development of Glacier National Park, restored the St. Paul Winter Carnival as a city-wide celebration and equitably settled his parents’ vast estate despite, at times, bitter opposition from members of his family. 97 Pages, profusely illustrated by the author. Chronicles Nick Coleman’s role in the legislative cauldron that resulted in Minnesota being recognized throughout the country as “the state that works.” Nick Coleman provided the vision and leadership that enacted social and economic programs, and inspired voter support that sent Hubert Humphrey, Eugene McCarthy, and Walter Mondale to national prominence. 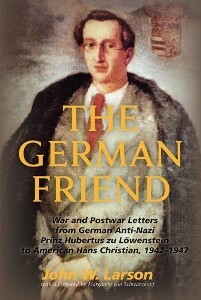 The German Friend tells the fascinating story of Prinz Hubertus zu Lowenstein through his letters to his American friend, John W. Larson, (known to his family and friends by the nickname Hans Christian). The letters cover not only politics, but philosophy, ideals and the day-to-day activities of the two men. A testament to friendship and to the fight for freedom, the book is a deeply personal exploration of the thoughts, hopes and values of one of Germany’s most prominent wartime authors. In 1834, five-year old Jane was placed into a covered wagon without her parents’ knowledge to travel with a family she did not know. They took her through great woods and savannahs in a covered wagon, boating across Lake Michigan and up rivers until they reached Minnesota. While her new family was building a log cabin, Jane discovered that the other people already there lived in houses made of tree bark or buffalo skins and spoke a language called Dakota. And she came to love these people. From then on, Jane lived in two worlds, that of the white missionary family, and of the native people who treated her like a daughter. She spoke two languages, lived by two sets of rules, and answered to two names: Jane and “Little Bird That Was Caught.” This true story tells of Jane’s amazing experiences as a child of two cultures. A chapter book for ages 8-14. Author: Marybeth Lorbiecki, Foreword by Lori K. Crowchild (Native American descendant of Seth Eastman). 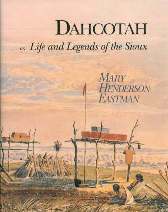 Readers learn about Dakota Indian culture through the Seth Eastman paintings. Painted during seven years on the frontier, these watercolor and oil paintings comprise the most significant source of information about Native American life in pre-territorial Minnesota. Born in 1911, Pearl Marea Schenk grew up on a farm in rural Anoka County, Minnesota, and received her early education in a one-room schoolhouse similar to the one that Ramsey County Historical Society has preserved at the Gibbs Museum of Pioneer and Dakotah Life. She then became a classroom teacher in several Minnesota districts and later, after earning a master’s degree, served as a school counselor in Roseville. This gifted educator’s memoir recounts the good times as well as the constant work her family shared on their Howling Hound Farm during the 1920s and ‘30s. Pearl Schenk also remembers her experiences with the changing nature of public education in a suburban district after World War II, when educators recognized they needed to provide better support to students with special needs. 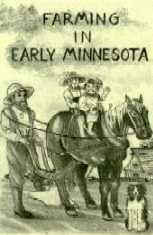 The book is published by the Ramsey County Historical Society. The second edition of Rocky Roots is a guide to the use of stone in downtown St. Paul’s architecture. It can be a flexible and useful guide to several different walking tours that will enrich a pedestrian’s stroll through town. It uses text, photos, and maps as a guide to the use of ornamental stone, particularly stone quarried in Minnesota. The user will see the city with new eyes and new appreciation. A favorite of local teachers, students, geologists, and those who are interested in the architecture of downtown St. Paul buildings, the first edition of Rocky Roots came out in 1978. Written by dedicated science educator Sister Joan Kain. Over the past thirty years some buildings that are discussed in that first edition have been torn down and a number of noteworthy new buildings that use ornamental stone have been erected. The new edition will update and expand Rocky Roots to reflect these changes in the city’s built landscape and provide new maps showing the city’s current street layout. 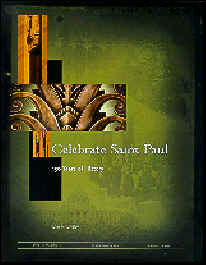 Paul D. Nelson, a noted local historian and author, prepared the second edition under the auspices of Sr. Joan Kain and the Society. The new book retains the spirit and intent of the original while replacing many of the first edition’s black and white photos with photos in full color. In addition Nelson expanded the book’s coverage of the uses of ornamental stone to the interiors of many of the city’s public buildings. A landmark publication that showcases the foremost collection of watercolors by the premier pictorial historian of the American Indian in the nineteenth century. A career U. S. Army officer assigned to frontier duty, Eastman preserved a visual record of Native American life, which was then undergoing rapid change. Hardcover.